The regime is determined to push ahead with the 2010 general election and will resort to any measure at its disposal, a la the reported 93 percent approval in May's constitutional referendum, to emerge victorious. Laws regulating the election will soon be announced. But the writing is already on the wall, the opposition will struggle, under drastically curtailed opportunities, to contest the polls. A ban on Aung San Suu Kyi contesting the elections is already in force � as per the constitution pushed upon the people earlier in the year. In this context, the harsh sentences recently meted out to opposition figures are designed to discourage dissidents and anti-regime forces in contesting the 2010 poll. 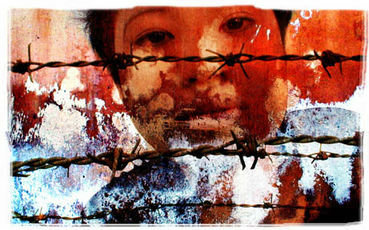 To the civilized world, what is happening in Burma may seem like madness � a system gone horribly awry. But there is a method to the madness. Burma's generals have unleashed terror in the run-up to its declared 2010 general election, the final phase of the so called "seven-step road map to disciplined democracy," that ostensibly promises to put an end to 45 years of what many people in the impoverished Southeast Asian country, and outside, call, "despotic military rule." As has too often been the case with Burma, over the course of these four plus decades, caught in the eye of the storm are dissidents, political opposition leaders, party workers, ethnic leaders, human rights crusaders, journalists, literary figures, artists, bloggers, human rights activists and social workers. Their nomenclature means nothing to a regime fixated on a singular agenda -- to retain a stranglehold on power. The unabated onslaught on the opposition in the aftermath of the 2007 Saffron Revolution is not new, what is new is the changed circumstances in the wake of the stage-managed constitutional referendum. Emboldened by the success of its countrywide deceit, the regime has gone ahead with preparations for the 2010 poll; the arrests and sentencing of numerous opposition figures and activists being yet one more calculated move by the junta in clearing and paving the way for victory through its civilian arm � Union Solidarity and Development Association (USDA). What has transpired following the sustained arrests of activists, monks and others, is a spate of sentences since November 11th, in which verdicts were handed down ranging from two to 65 years � making a mockery of the judicial system. Tomas Ojea Quintana, the U.N.'s Special Rapporteur on Human Right for Burma, following his initial visit to the county in August of this year, identified reform of the country's judicial system as one of four crucial elements to be addressed if the 2010 elections are to stand any chance of being widely accepted, both inside and outside Burma. Astonishing as it may seem outside the bamboo curtain that encircles Burma; the youth arrested were sentenced to prison terms meaning they will be nonagenarians when released, should they even manage to survive the harsh and hostile conditions of Burma's notorious prisons. Over the course of a single week this November, nearly 100 people have been cast behind bars in the wake of trials in which, in many cases, no defense counsel was permitted. Unfair trails and arbitrary sentences on trumped up charges are well designed to intimidate politicians, activists and the people at large in the run-up to the 2010 election, causing dismay and condemnation around the world. The irony is that none of the activists did anything to deserve arrest, let alone be put on trial and made to languish in jails across the country. All they did was protest against tyranny, human rights abuses, spiraling prices and a deteriorating political and economic atmosphere in a nation which has sunk to abysmal depths. In just about a year, the number of political prisoners has jumped from approximately 1,200 to 2,100, according to Amnesty International and other rights organizations. Heading the list of course is Aung San Suu Kyi, the only Nobel Laureate under detention � having now been detained for an astonishing 13 years. The lessen apparently drawn by Burma's generals following last year's mass protests was certainly not that of the desperate need for dialogue and national reconciliation, rather, the junta has taken it upon itself to implement and escalate a campaign of repression and arrest throughout the country � in an attempt to maintain its position as unilateral arbiter over all affairs of the country. Y CANNOT THE UN TAKE ACTION WITH BAN KI MOON AN ASIAN AS THE SECY.